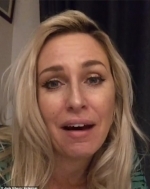 Josie Gibson was unable to attend the last ever Big Brother's Bit On The Side on Monday night because of her anxiety of leaving her newborn son at home. The reality star, who soared to fame on the Channel 5 show in 2015, took to her Instagram to admit she had made it to the roundabout at the top of her road before turning back because she couldn't bear the thought of leaving two-month-old Reggie-James at home. Josie stated that her 'mind was going crazy with visions of things going wrong with her little one' - despite 'completely trusting' her partner Terry who was home with him.